Israeli Prime Minister Benjamin Netanyahu arrived in Washington looking for an electoral advantage from U.S. President Donald Trump’s expected formal recognition of Israeli sovereignty over the disputed Golan Heights. Trump’s stance breaks with long-standing U.S. policy and the international community, which considers the Golan Heights as Israeli-occupied, not a sovereign holding. 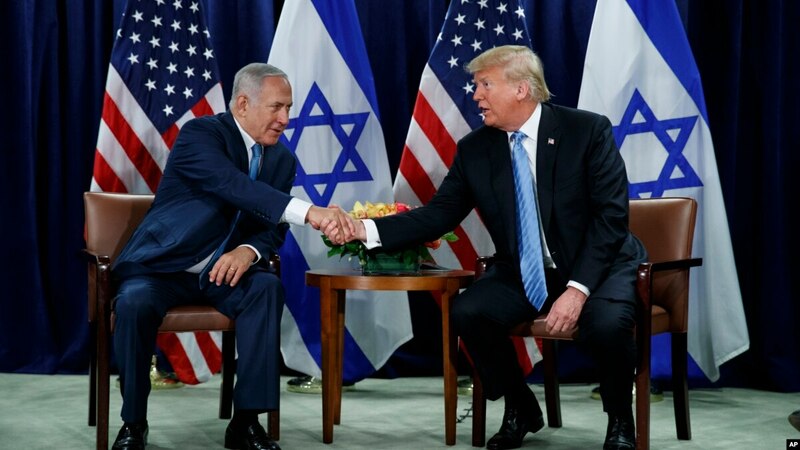 “President Trump will sign tomorrow in the presence of PM Netanyahu an order recognizing Israeli sovereignty over the Golan Heights,” Foreign Minister Israel Katz wrote on Twitter on Sunday. Netanyahu is lagging in political surveys ahead of next month’s election. His main rival, former military chief Benny Gantz, is speaking at the annual AIPAC convention on Monday, but only Netanyahu will be at the White House dinner on Tuesday. Trump’s Golan Heights announcement came shortly after Pompeo visited the Western Wall, one of Judaism’s holiest sites in Palestinian east Jerusalem, with Netanyahu, the first time such a high-ranking U.S. official had visited the site with an Israeli leader.